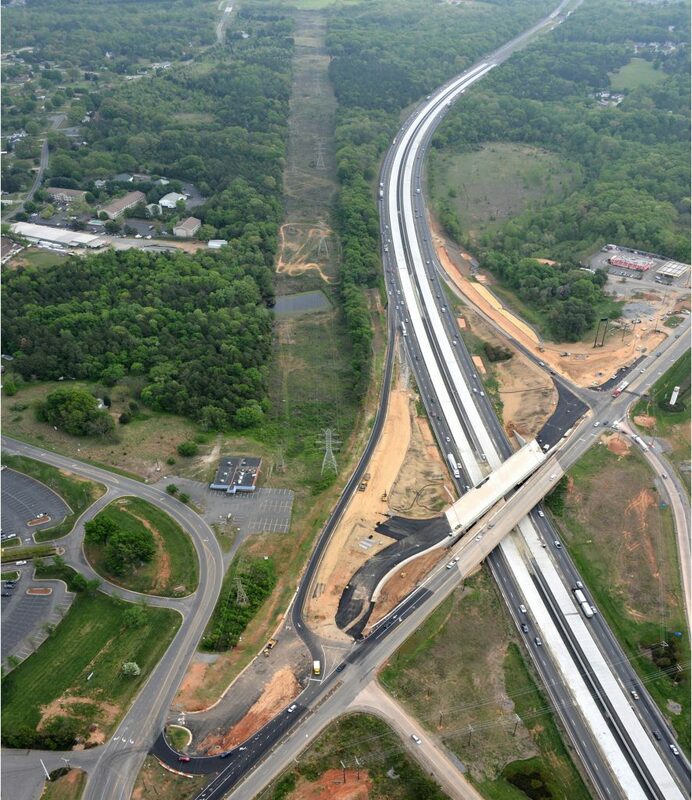 KCA provided construction inspection services as a subconsultant on approximately 7 miles of I-85 widening from four to eight lanes in Cabarrus County. The I-85 project cost is $125.1 million and consists of widening to eight lanes with concrete pavement, two diverging diamond bridges at the interchanges of NC 73 and Poplar Tent Road, retaining walls, and sidewalk construction on NC 73 and Poplar Tent Road. The project includes six bridges on I-85 as well as concrete pavement, barrier wall, noise wall, MSE wall, and temporary bridges.